With the transformation of Downtown Disney into Disney Springs we have many exciting new restaurants and shops openings on the horizons. One of them being the pan-Asian cuisine restaurant, Morimoto Asia. According to the Disney Parks Blog the restaurant will open September 30th. 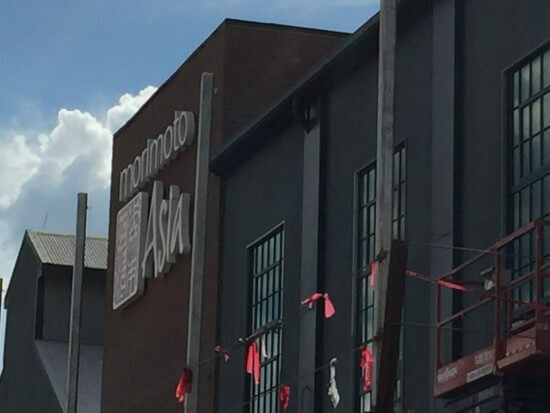 Morimoto Asia will begin to accept reservations on Sept. 16 through Open Table. Or beginning Sept. 30, you can make reservations through the restaurant at 407-560-6686. Reservations through 407-WDW-DINE begin Nov. 1. Hours are daily from 11:00 a.m. to 2 a.m. serving lunch, dinner and weekend brunch. 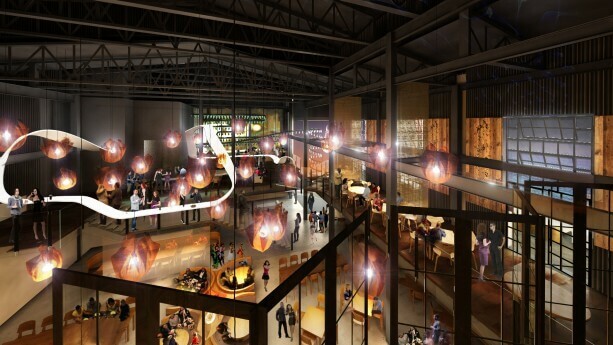 The restaurant will feature a 36-foot tall, two-story layout including a range of areas to explore with open terraces, grand hall, private rooms, long bar, cocktail lounge, waterside seating and more. It will include exhibition kitchens showcasing street-food stalls, Peking duck carving and dim sum. You will find things on the menu like moo shu pork, Peking duck, lobster chow fun, sweet and sour crispy whole fish, and spicy kung pao chicken. Weekends, dim sum will be served during brunch, with dumplings, shumai, bao, spare ribs and more. “We’re thrilled to bring Chef Morimoto’s renowned culinary style to Disney Springs as we expand the range of dining experiences for our resort guests as well as local Florida residents,” said George A. Kalogridis, president, Walt Disney World Resort. PHOTOS: Halloween has arrived at Walt Disney World with pumpkins and fall leaves galore! Great article, Corrine! Can’t wait to try it! !